This morning started off wet as seems to be becoming commonplace these last few weeks in many parts of Europe. However, by the time we arrived in Andelfingen the weather was starting to look more promising. This was the start point of the 4 hour canoe tour that Anny and I had booked with Wasser-land.ch, and from there the plan was to head down the Thur river to its confluence with the Rhein and then head down the Rhein to Eglisau. The route was incredibly scenic and we passed through nature reserves, vineyards and some small villages with ever such cute little churches. The current was so strong that it wasn't really necessary to paddle. It was relaxation more than exercise. We did try to paddle hard for a few kilometres at the start, but the inflatable canoe that we were using had no rudder, and unless you paddle in sync the canoe tends to spin in circles. That happened to us on several occasions, and the spectators standing on the banks of the river probably thought we were very drunk. After those initial few kilometres we just paddled very gently, and took frequent breaks where we let the current take us down the river, admiring the landscapes that we were passing through on the way. In terms of technique, the person at the back is able to steer much easier than the person sitting in front. The one in front on the other hand sets the rhythm and is responsible for keeping an eye out for submerged trees, rocks or other obstacles. At the start Anny was sitting in front and I was in the back, but after a few kilometres we changed positions. I thought that maybe with me sitting in front the canoe would spin in circles much less, but I was mistaken and the poor canoe would be resigned to spin in circles for the majority of the trip. We decided to stop at a riverside cafe for some refreshments along the way, and this was by far the funniest part of the day. I hopped out of the front of the canoe on to the dock and then held the front of the canoe whilst Anny stepped out on to the dock to join me. The next thing I saw was Anny kicking the boat away from her whilst still standing on it and simultaneously holding on to the wooden pole of the dock. Then splosh she landed in the water. The water was pretty chilly today (even wearing wetsuits, as I had found out earlier when I went for a dip), and Anny wanted me to help her out of the water on to the dock as she was cold. I was so busy helping her that I let go of the canoe and it started drifting down the river, so I shouted to Anny to swim after it and get it back. If need be I would have jumped in myself, but there was no point in both of us getting wet and the water was pretty dirty because of all the swan poop. She retrieved the canoe and I pulled her and the canoe out of the water a bit further downstream. After the tour finished in Eglisau I decided to run home. I was not sure how far it was, but today I was meant to run just under 30km in total, in order to complete my aim of having done 100k this week. I figured that it would be about 20k from Englisau to Wipkingen, and then I planned to go for a run with Anny and Negrita once I got back to make up the remaining distance. It turned out to be 27k from Eglisau to Wipkingen and I was cream crackered by the time I got home. Nevertheless I got Anny and Negrita to get ready, and then went out for the remaining 2.3k to complete my aim. So this week's mission was completed and I have run 100k. Most of that was in my Newton Sir Isaac guidance trainers, with the exception of one session that I did in my Vibram FiveFingers. 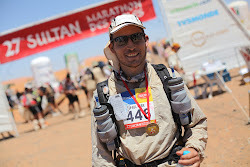 Now for the coming week I will try to do 110k, maybe with a bit more running in my Vibrams or barefoot. This coming Thursday I will be trying out fencing and then writing about it. I have come up with the idea of regularly trying out new activities so that I can write about them and keep my blog interesting. Thank you to my regular followers for keeping me enthused to keep writing.